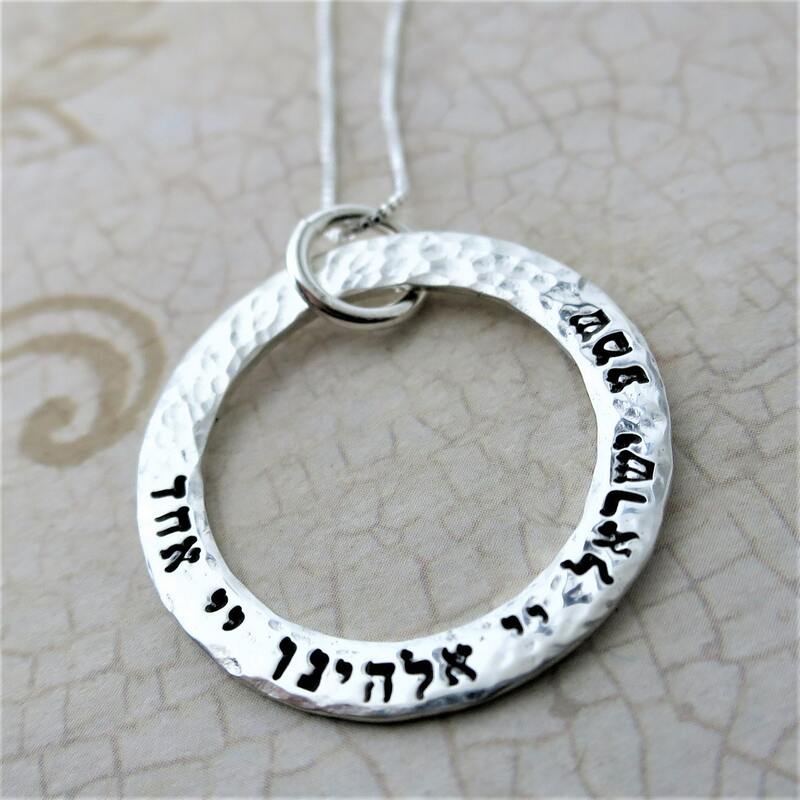 A thick, 18 gauge, sterling silver washer, measuring 1" outer diameter, 3/4" inner diameter, has been hand-stamped in my Tiny Hebrew font with the Shema. 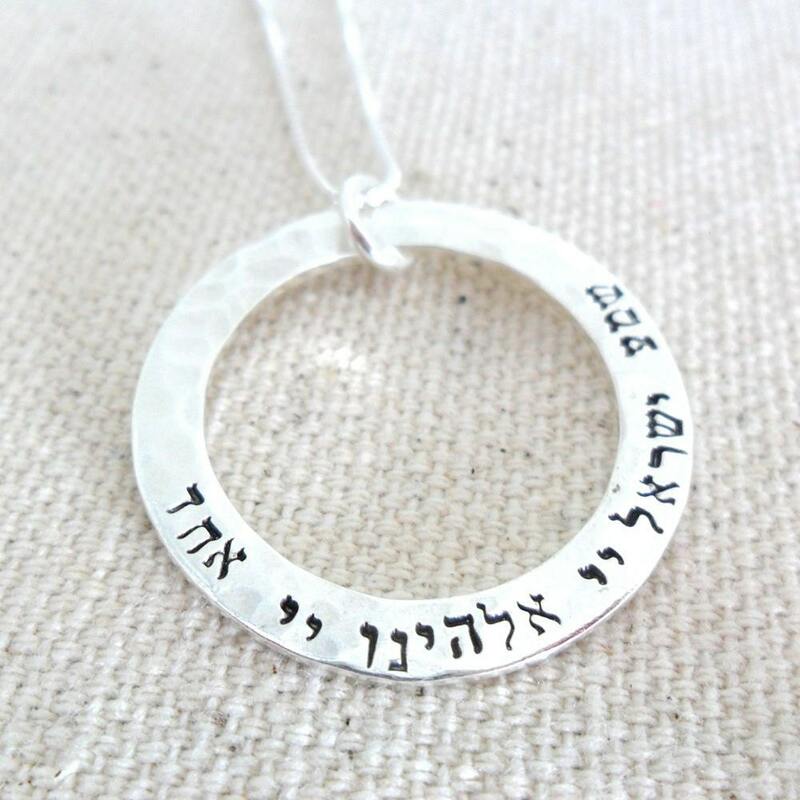 "Sh'ma Yis'ra'eil Adonai Eloheinu Adonai echad." The washer has been hammered and polished--a gorgeous texture. The text has been oxidized for depth and contrast of the characters, which measure 1.5mm high. 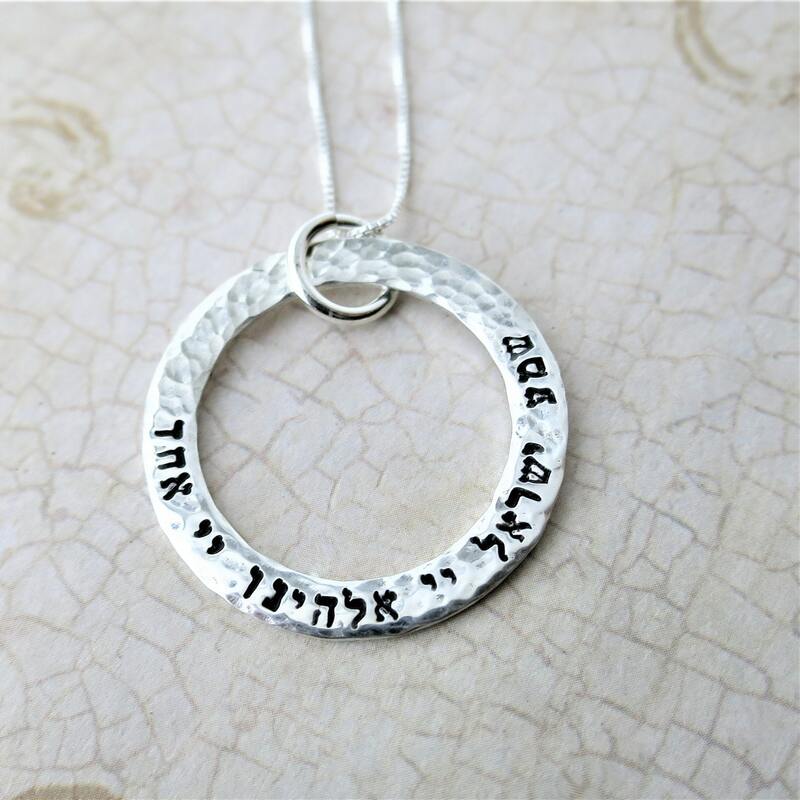 This washer is feminine and is paired with a delicate sterling silver box chain.